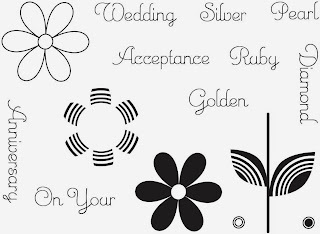 I am here to introduce the new Flower Power #7 set from Uniko. I went for bright a cheerful colours and did some masking. The sentiment is from the Uniko Simply Said set. Don't forget to pop on over to the rest of the DT blogs to see how they have used this set. Monday-release day! The entire set will be released and we will be running a blog hop where you will have the chance to win the entire set. From today until Monday we will randomly draw winners for mystery prizes. I'm not giving any hints as to the prizes or their value, you'll just have to join in on the fun! 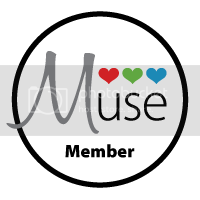 Places to join in on the fun & possibly win a prize are by commenting along the way on the Uniko Studio Blog, DT & Guest Design Team Blogs, liking the Facebook, following on Twitter and Pinterest! yummy colors you chochose Sandi! Love the layout too, simple and beautiful indeed. Very pretty card, bright and sunny colours and I love the sentiment font! Right up my ally! Love this card Sandie! 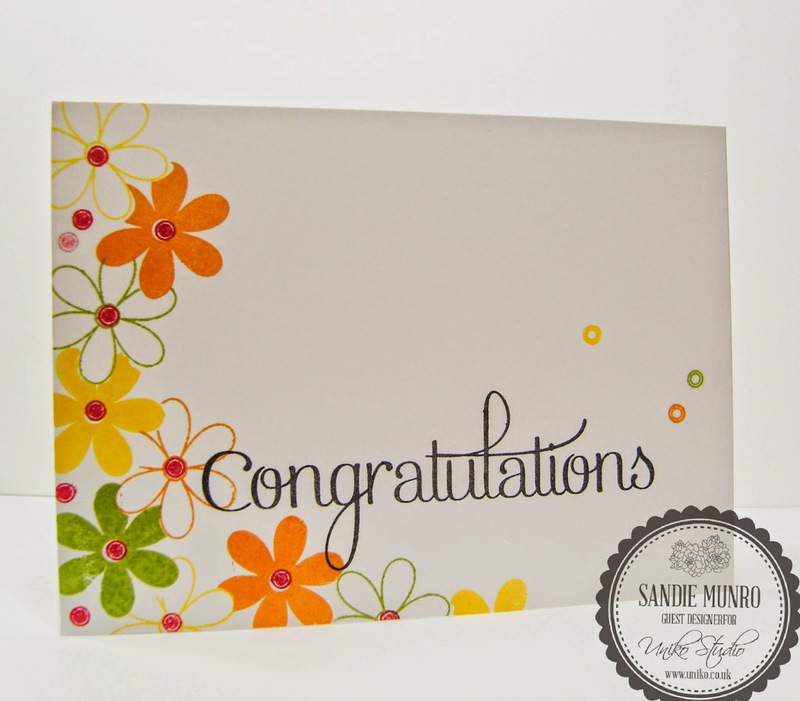 You work these colours brilliantly Sandie, fabulous stamping and stunning. Oh Sandie, this is just gorgeous with those fab zesty colours. Perfectly CAS, perfectly you! This is so pretty! Lovely colors. Love these bright fresh flowers, Sandie - they really pop! The font of that 'big words' stamp set is ever so pretty, and pairing it with the new flowers showcases them both, beautifully! Gorgeous! Love this, lovely bright colours and mixed with the large bold sentiment.